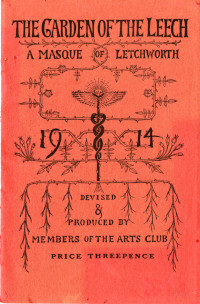 Theatre is embedded into the fabric of Letchworth. 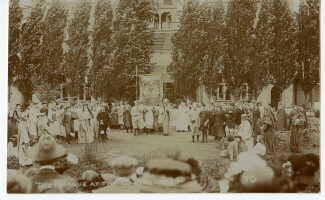 In Letchworth's infancy, Arbor Days, May Days, theatre and music all brought a very close-knit and free-spirited community together. 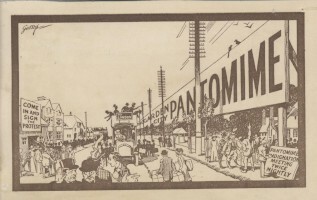 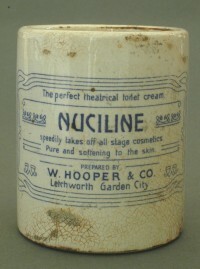 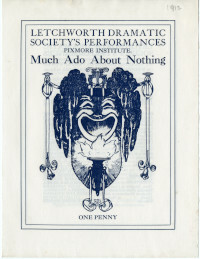 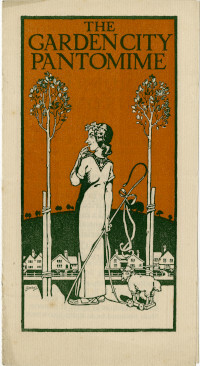 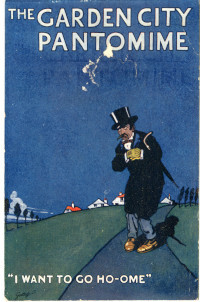 By 1910, Letchworth's population of 6,500 had a choice of 113 different societies and organisations to join, with several of these being theatre-based. 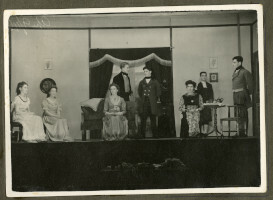 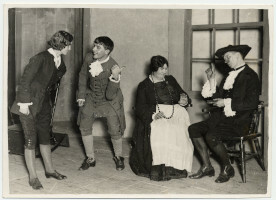 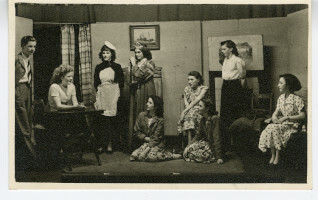 Mrs Harvey ("Delia") in "The Dancing Tea"
Play at Manor House, Norton. 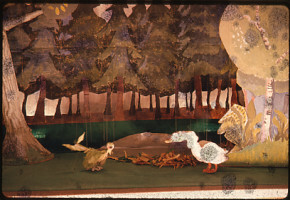 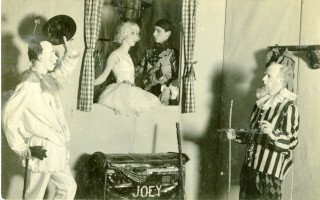 Puppet show at Norton School. 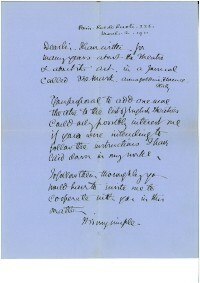 Letter to C B Purdom. 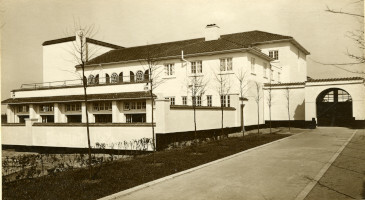 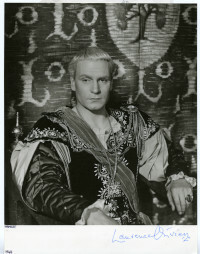 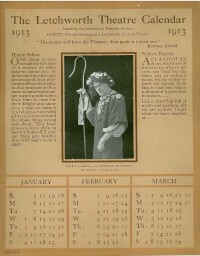 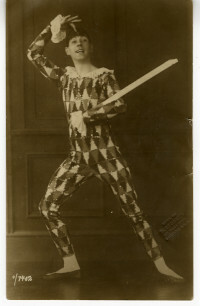 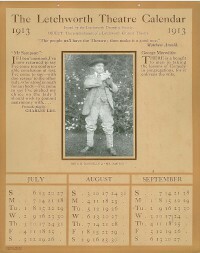 Mounted photograph of St Christopher Theatre. 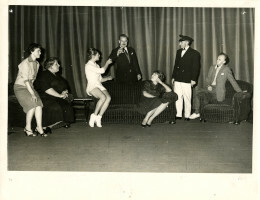 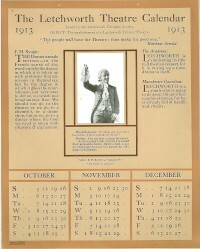 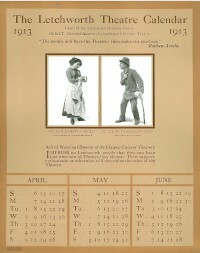 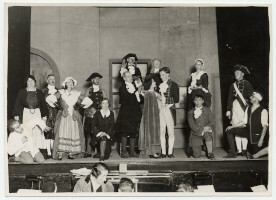 Cast members of Letchworth Theatre production. 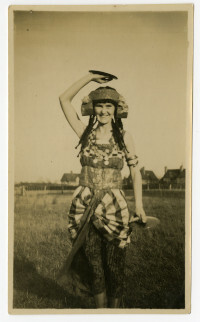 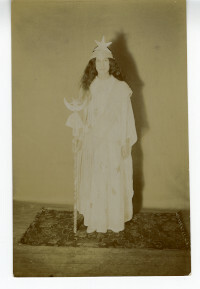 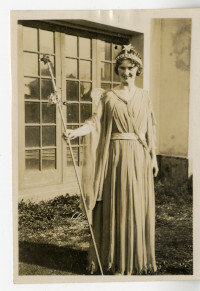 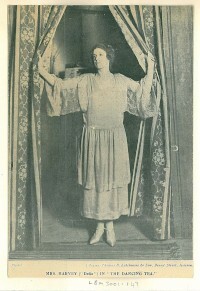 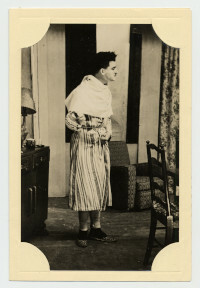 Photograph of a woman in costume. 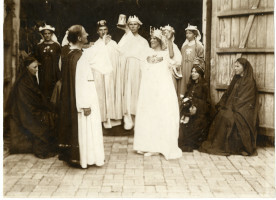 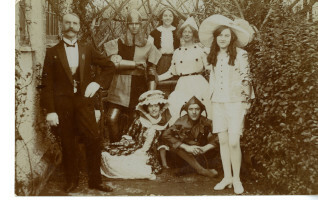 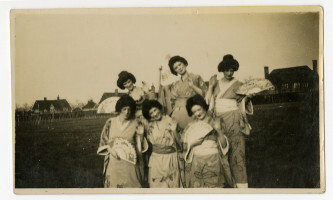 Group of people in fancy dress. 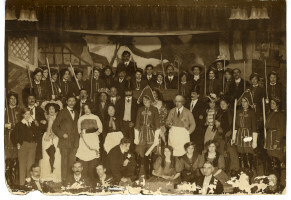 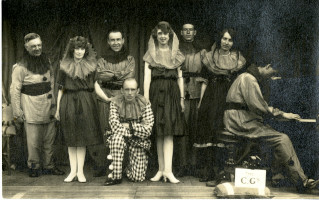 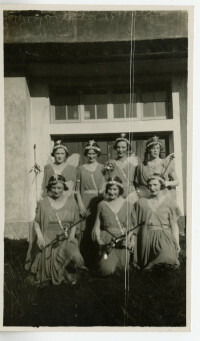 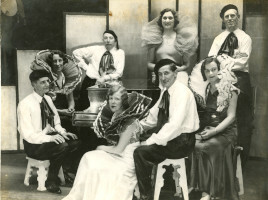 Group of performers in fancy dress.